Right now, there are a lot of device screen mirroring apps out there in the smart phones and PC ecosystem, whether you're mirroring from your phone to PC, or from PC to phone, there is always a little something for you. But what do you think when a PC company such as Microsoft decides to build one for themselves and by themselves, then you should know that you are in a very big treat and surprise. 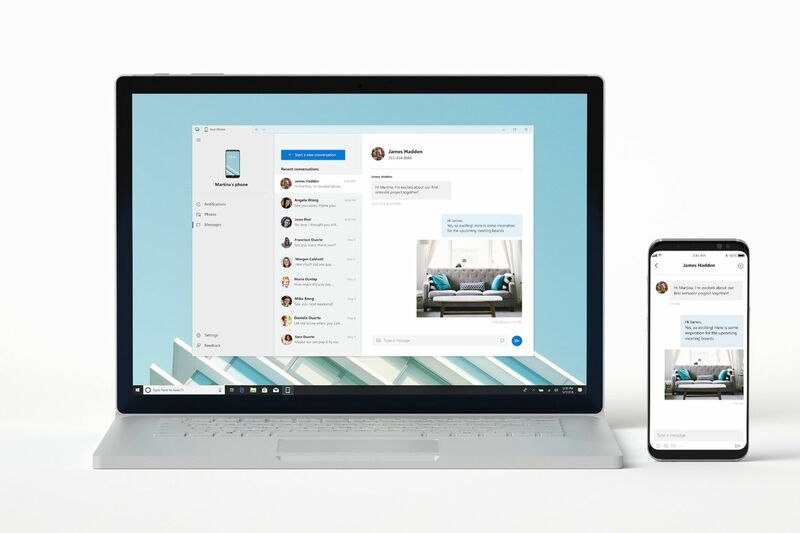 So recently, we got insights from The Verge, stating that Microsoft are(is) working on and is set to unveil a new Windows 10 phone mirroring app called "Your Phone", and what does it do? Simple, it simply lets you mirror your phone's screen and features to your Windows 10 PC, don't know if this is somehow related to what Samsung did with the Samsung Dex, but i think i like it. For now, things you can do on your PC while your phone is being mirrored on it is the ability to access your text messages, have a quick look up on incoming notifications, and also see your photos, which means that you don't necessarily have to stop whatever you were doing on your PC just to see or reply that new notification that just came in.. Cool stuff right? So right now, we don't really have any concrete info as to when this app will finally start rolling out to all Windows 10 users out there, but we do hope it shouldn't be anything far from now. So tell us what you think about this new app from Microsoft, is it a yes or a no. Share your thoughts with us in the comments box, and i'll catch you on the next one.